The hotel is convenient for the M1 and M25 and is just a 20-minute train from central London. 'Stylish' RBG Bar & Grill on site. 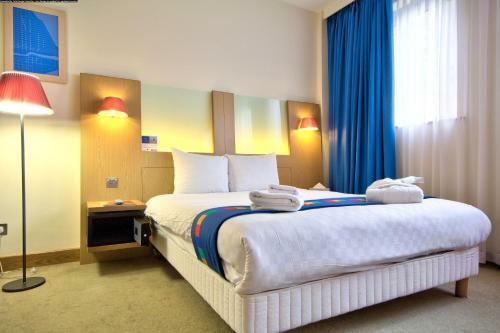 The 90 bedrooms at the Park Inn London Watford have been filly refurnished and come equipped with top of the range amenities including FREE wireless broadband, 24-hour room service and air-conditioning. And for early risers, the good news is they also have power-showers – perfect if you need to come round for that 9.00 meeting or hose down after a sweaty day around town. It’s a simple affair but there are nice touches. Guests can choose from six Business Friendly Rooms, an Allergy-wise Room and three accessible rooms designed for people with disabilities. The bedrooms all benefit from multi-channel viewing and the towels and the linen are first-class.